After reading the reviews for Beta my expectations weren’t all too great. I have a bad habit of wanting to know what is coming before I reach it, so I tend to read spoilers for books, TV shows, even movies. I tried to limit myself on spoilers for Beta, but I still went in with some knowledge. Elysia is a teenage clone, one of the earliest models–a Beta. She is not supposed to feel human emotion or sensation, but she does. She’s also a Defect. It was interesting reading how she comes to terms with what she is told to be truth and what she experiences as truth. That dynamic is what kept me reading. To be told one thing yet experience something that goes against that “truth” and have to figure out what is real creates a great internal struggle to read about. Cohn did an amazing job with the descriptions of Demesne. The way she could paint a picture of the world was superb; I felt like I was there. I could see the ocean; feel the sun and the breezes. Unfortunately, for as beautifully as Cohn described the world, she didn’t match it in world building. There is some background given, but not enough for my tastes. I want to know why the Water Wars happened and how the world of today morphed into the world of the novel. Hopefully there is more of that in the net book. I know I praised the internal struggle of being told one thing and experiencing another, but it is this same struggle that also bothers me about the novel. Elysia is a clone and at the beginning of the novel, she fits that description perfectly. However, once she starts to realize she can feel, she does a complete 180 and feels everything to an amazing degree. There is “insta-love” that feels horribly unrealistic. How can you be sure you love someone when you barely even understand what feeling emotions is like? I’m not sure if this is intentional or if I was really supposed to believe these two love each other. The end of the novel had so many twists and turns that some felt a little too far out of left field. It seemed like every few pages, a new twist was thrown in. I’m not sure how Cohn will manage to work will all these new elements, but it might be interesting to find out. 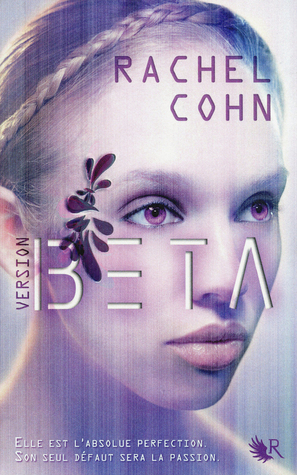 Beta is a novel with an interesting premise. It is basically a set up for the Civil War of the future. It debates what makes a person and person. Does a person need a soul in order to be considered whole or does living and breathing give them the title? Unfortunately, Beta has a few flaws that keep it from reaching its full potential. I will probably pick up the next book, just to see how Cohn handles things, but I won’t be rushing out to get it at first release. This entry was posted in Dystopia or Post-Apocalyptic, Something a Little Different, Young (and New) Adult and tagged Dystopia/Post Apocalyptic, Fantasy, Rachel Cohn.